One of the most damaging issues that occur in homes and offices are caused from leaks or areas where moisture is trapped in locations not suitable for moisture. This can cause mold to occur along with serious health related issues. Mold can cause respiratory infections and diseases that eventually lead fatality. Small children or those with asthma are at even greater risk when it comes to mold. Those who have allergies tend to show the first signs such as sneezing, irritated eyes, and restricted breathing. One average, one may also have skin irritations if they come in direct contact with the mold or mildew. Usually the irritations from direct contact will cause itching and redness on the skin. 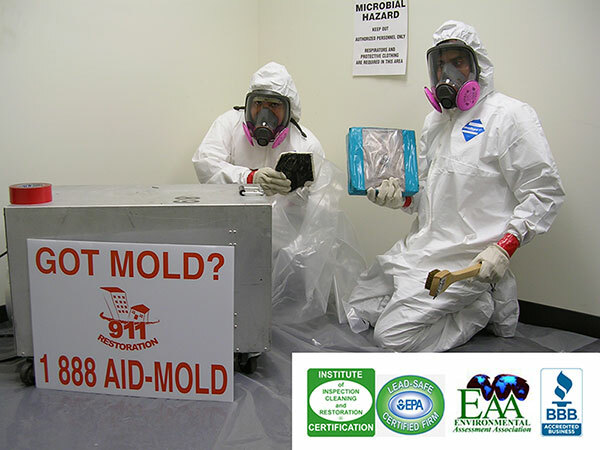 Working with a mold remediation company is the best way to have the mold removed. It can appear in a variety of colors ranging from black to green. First, inspection of the effected area will help determine what type of mold or mildew it is. After the inspection, diagnoses will determine how to go about treating the issue. Of course any leak or moisture should be addressed before so that once the areas of the home are treated, there will be no chance of mold or mildew growth. Most areas can be treated and sanitized. However, if some are too damaged to restore, they may have to be replaced. The longer this issue goes untreated, the more it will spread throughout the home. Although you may not see mold or mildew growing in the home, it doesn’t mean it may not be in hidden areas. Sudden allergy signs are one of many ways to tell the signs. If allergies do not reside and seems to only get worse with each passing day, it is best to contact a professional for a thorough inspection. The most common areas of the home where water damage occurs are the bathroom sink, shower, toilet, inside the walls, or under the floor. However, kitchen areas that may hold water include the kitchen sink or behind the refrigerator. Roof mold is usually obvious because dark rings begin to appear in the ceiling.